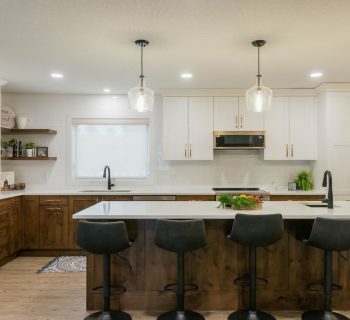 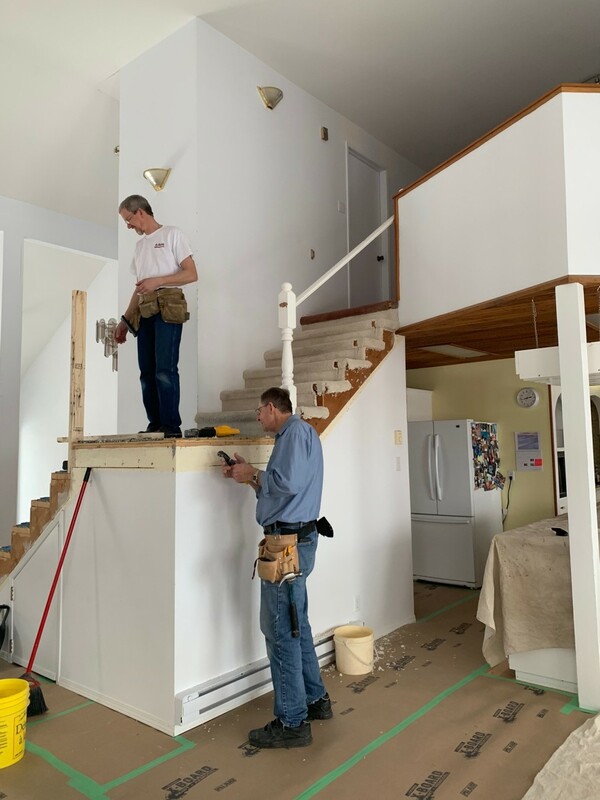 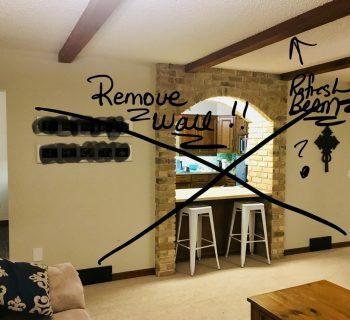 It is always great when asked to come back for a Reno – Phase II. 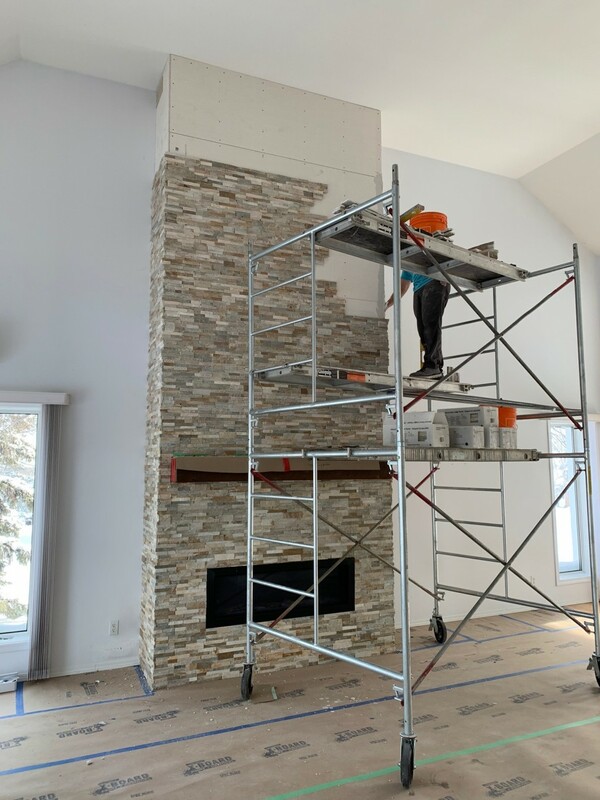 These great clients had asked us a few years ago to design a gas fireplace feature. 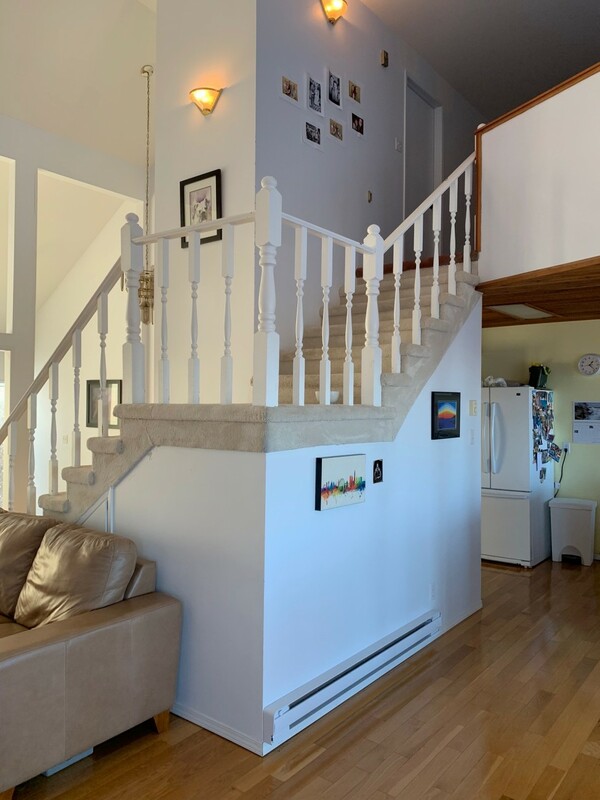 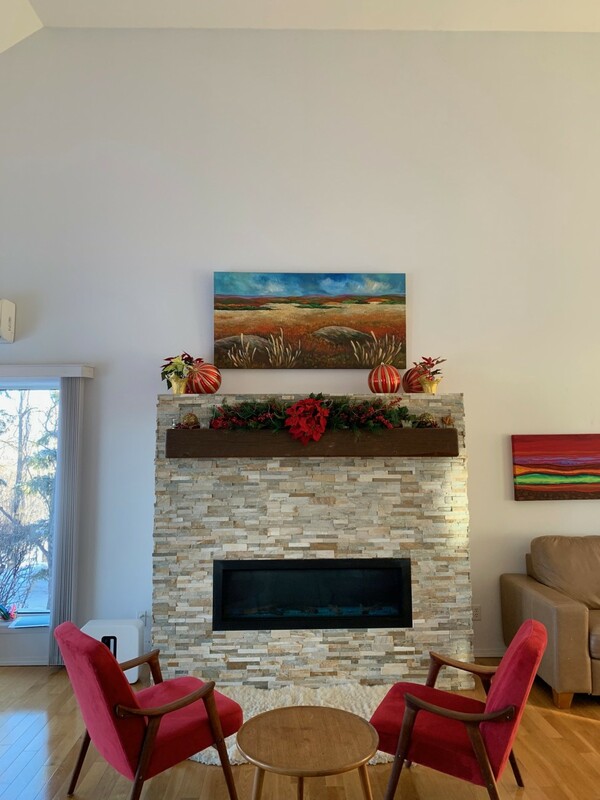 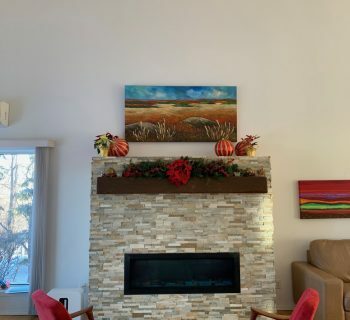 We were asked back last month to raise the fireplace to full height, and refresh the staircase area, so they have more room to hang some favourite art pieces.